Do you remember the scene in the movie ELF, when Buddy answers the phone? Watch this and then answer the phone like Buddy the Elf at least once today. It’ll make you smile, I promise! 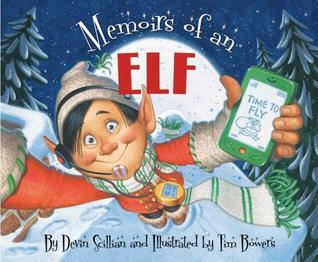 Spark, the elf, journals one of Santa’s trips around the world with his smartphone. He begins by taking an ‘elfie’ of himself and his two partners, Bobbin and Nutshell. Spark’s job is to keep Santa on schedule. He uses his GPS and chronicles their stops along the route with added little-known facts. One of the little-known facts is that Santa loves dogs, and dogs love Santa. Another is that reindeer love tinsel, and it gives them as much energy as 50 cups of coffee. And it’s a good thing that tinsel has that effect on reindeer, because at the end of night Spark finds an unexpected stow-away in Santa’s bag, a puppy named Tugboat has come home with Santa. With only 30 minutes to go, Santa gives the reindeer some tinsel and they zoom back to Tugboat’s house to return him to his family. Everyone is so happy, that Spark takes another ‘elfie’ of himself, Bobbin, Nutshell, and Santa before they head for home. Oliver was very excited because this was the year he was going to find his special job at the North Pole. The problem was, he was too small for any of the traditional jobs. He got lost in the stuffing at the toy shop. He couldn’t carry the tools at the bicycle shop. He fell into the giant mixing bowl at the bakery. And he only succeeded in making a mess at the bookmakers workshop. Then Oliver went to the stables. He met a brand-new reindeer named Dot. Dot was too little to fly or pull Santa’s sleigh, but she and Oliver found the perfect job for themselves. They made tiny ornaments, cards, and decorations for the other elves in the village. Dot pulled a tiny sleigh and pulled Oliver through the village delivering their gifts. 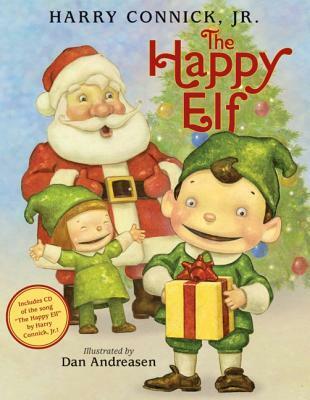 Santa was so happy to see how Oliver and Dot made everyone smile, that he made them his special helpers that year. Eubie was the happiest elf at the North Pole. He was actually so happy, he was sometimes annoying. 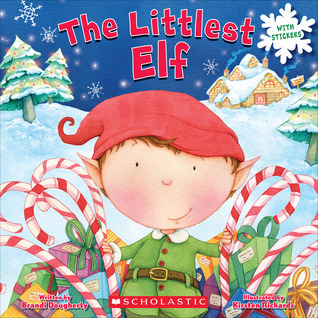 One Christmas Eve morning, the head elf gave Eubie a job to keep him out of everyone’s way. Eubie checked the naughty and nice list. But Eubie noticed something terrible, there was a small town called Bluesville that had no children on the nice list… no one, not one! Eubie used his magic hat to travel to Bluesville to find out what the problem was. When he got there, Eubie found two children throwing rocks at each other. He talked to them, these were not ordinary rocks, they were unburnable chunks of coal that came from their mountain. The coal wasn’t good for anything but throwing. And since there was nothing else to do in Bluesville, the kids threw the coal at each other. Eubie went back to the North Pole to see what he could do to help them. Eubie found out that the coal shone when it was cleaned up. So he returned to Bluesville with a coal polish and a Christmas tree. He met the same children and showed them what he had learned about their coal. Together, they shined up coal mountain until it sparkled in the sunlight. Then they decorated the Christmas tree and sang Christmas songs. Pretty soon, the whole town joined in. Back home at the North Pole, Santa was so pleased with Eubie’s kindness that he invited him to ride with him on Christmas Eve and help deliver the toys. Now Eubie really was the happiest elf at the North Pole!